← Justin Paul’s Next Oscar: P.T. Barnum? And the side behind the initial furor — “Rogue Cop Hired in Westport” — is as interesting as the first. Social media was atwitter over the weekend, after the New Haven Independent published a story about Daniel Conklin, a former New Haven detective set to join the Westport Police Department. Conklin allegedly destroyed evidence on a bogus stop, harassed and arrested a man on trumped-up charges, and shoved and threatened to tow the car of a fisherman parked on a bridge. Westport delayed Conklin’s swearing-in, set for today. But the department stands strongly by the new hire. We want to assure the public that Mr. Conklin has been properly and thoroughly vetted through an extensive background investigation process. We are confident in our decision to hire him as a Westport police officer. The Westport Police Department is a very desirable law enforcement agency in which to work, and is able to be extremely selective with its new hires. Every officer hired, lateral or entry level, is vetted through an extremely rigorous background investigation process. This involves a physical examination, drug screen, review of the applicant’s finances, neighborhood canvass, and interviews with employers. The applicant encounters 3 levels of oral interviews with department investigators and command staff. This process also includes a polygraph examination and a psychological evaluation. We have reviewed Detective Conklin’s personnel and training files. We have examined each internal affairs complaint individually. The federal lawsuit against Detective Conklin was unanimously dismissed by the jury. Two complaints were found to be attributed to training deficiencies on behalf of the New Haven Police Department and another resulted in a 1-day suspension. For the last 3 years of his 5 year career in New Haven, he has excelled in his profession and has not been the subject of any internal affairs or discipline investigations. Because of his strong work ethic, Detective Conklin was appointed by the New Haven Chief of Police to the gang unit. In 2016, he was promoted to the rank of detective and assigned to the major crimes division of the New Haven Police Department. Both are prestigious assignments which come with incredible responsibility. Detective Conklin was highly recommended by his supervisors and the State’s Attorney’s Office due to his investigative skills and his sensitivity to victims and their families. Over the last 3 years, 16 of 18 new police department hires have been lateral applicants joining us from other Connecticut law enforcement agencies. We have had great success from our lateral hiring process. We have hired lieutenants from the Norwalk and Orange Police Departments, sergeants from Woodbridge and Waterbury, detectives from Waterbury, West Haven, Trumbull and Orange, and officers from Monroe, Bridgeport, Trumbull, Ridgefield, Naugatuck and Torrington. Each officer brings with him or her a great deal of knowledge and experience. Detective Conklin is no different. This entry was posted in Media, People, Police and tagged Chief Foti Koskinas, Daniel Conklin, New Haven Independent, Westport Police Department. Bookmark the permalink. 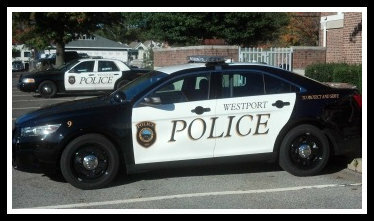 As all have commented on that other blog, we all love and respect our police here in Westport. I trust their vetting, and I very much respect the work and decisions of our Police Chief. Good to read that Jim Marpe received many emails & calls re this, You don’t want Westport Police gtg reputation of Norwalk Police Dept. Westport has a reputation for being enjoyable, & Chief Foti’s (trust me, you don’t want to hear me try to pronounce his last name, just let me call him Foti, 😉 personality & Police Dept is a large part of that. When NYc amis, Many expats fr other countries English of which isn’t their 1st language, ask where to stop between NYC and VT I always recommend Westport Because it’s safe & friendly, they can stop anywhere incl the police station if they get lost, etc. Def good to hear Westport is safe guarding that quality. It makes no sense to micro manage the Police Chief. He has done a thorough job of vetting this new hire and I think he should go forward with the new hire. I’m glad to hear the other side of the story but one would think that the town could have found another competent applicant without the gray cloud hassle. I agree. It’s simple enough. The optics of this man’s background are not unblemished. When you are talking about the potentially high demand high stress job of being a policeman you don’t want someone you are 99% certain about. With a plethora of qualified applicants why not get someone without a clouded past? Let’s not mislead the public in this article by implying in the third paragraph that Conklin only “ALLEGEDLY destroyed evidence”, etc. While Conklin comes from an extremely well connected police family, we need to be clear and honest with the public about what we are actually buying into with this new hire, and the attendant liability risks to the Town. Unfortunate that so many jumped to a conclusion based on a single newspaper article written by one reporter without additional information. First and foremost we should be placing our trust in our Chief. I just simply cannot imagine him letting us down. Thanks for focusing on this, Dan. I found it to be a very thoughtful and comprehensive response from our police department. Like Michael, I have complete trust in the judgement of Chief Koskinas. That’s a terrible thing to say about any officer. i’m sure there are currently no pigs serving as police in Westport. pejoratively about police who behave as he apparently has in his line of business, and think of them as porcine; so that is why i wrote what i wrote re your apparently future police officer Conklin. so sorry to offend. Your a complete jerk with a comment like that. Have a little respect for men and women that keep Westport safe. It’s pretty easy for a weasel like you to make a commmet from your computer and not show there face. Grow up snowflake. I’ve known Dan since he was 15 years old. He worked for me for about 6 years. When he told me he was leaving New Haven to work in Westport I was more than willing to give him a great recommendation. I don’t know what happened to him in New Haven but he was (is) a great kid (now man). Just curious – was there no one else available for the position? Rosemary — Given how much we pay (at the very top), and how relatively safe our community is, there are so many officers who want to come here. Police positions are highly coveted in Westport. But most applicants do not have a powerful police father, like Conklin does. Looking the other way and ignoring the misfeasance of the “police son” of a powerful police officer dad is dangerous business. Look what happened in our neighboring community. Circling wagons and recycling abusers, whether a priest or police officer– to another town — is not acceptable anymore. It has got to stop. I expect more from Jim and Foti and we have to demand integrity in hiring. There are too many alarms here. We can do better. I like Foti. I have considered all his arguments. I see what is happening. But: This is not okay. There is a HUGE different between these 2 officers. I know and/or worked with both of their fathers. One of these officers was young and maybe needed more training. The other needed help for a problem. Westport is getting a good man with Dan Conklin. I like and respect Chief Foti too but I disagree with him here for the all the reasons you articulated so well above! I have total trust in Chief Koskinas. If he says that he is comfortable with this gentleman, that is good enough for me..
To hire someone with proven Internal Affairs misconduct issues is to say that Westport can’t do better. If Westport is truly a desirable town in which to be a police officer (which I would imagine to be true), then that doesn’t make sense. It is also terrible PR for the Town, at a time when Westport has invested resources in attracting business (Fairfield County 5). There must be candidates without a questionable past. Is Westport that desperate? It is hard to believe Westport would take this kind of risk. I have to believe an open police position in Westport has to be able to attract many so it raises a question how this person got to the top of the list. JMHO. Bart — you and I have had our political differences/disagreements in the past, but on this issue I’m with you 100%. There has to be more to this story because it makes no logical sense. If Westport is SO desirable for a police officer (and it seems it would be for many reasons), I would envision a stack of resumes from top flight candidates. Perhaps Conklin was “over zealous” as a new officer in New Haven, but those IA investigations uncovered some very questionable behavior–behavior that is not easily chalked up to “training deficiencies” or “rookie mistakes”. I try not to be judgemental, but this just doesn’t smell right. Maybe Conklin has learned from his mistakes, or maybe not. Just bothers me that this is the “best” officer we could find for our town. So your saying you don’t trust the Police Chief on this matter? In this situation, my answer is yes. I am sure that there are many excellent police officers looking to work for a fabulous police force with a great reputation such as Westport’s, Why even consider this officer who sounds like he’s had a difficult and concerning past. Why bring in an officer who might harm our residents and hide evidence? I for one do not feel comfortable with that at all. Someone clue me in as to why he’d even be considered. Hypocritical. Westport boasts the best, but denies someone a second chance. I fail to see any compelling reason why this officer should be chosen over another candidate without such a past: 3 Internal Review Board FINDINGS of misconduct, including destroying evidence. If you read through the details of the three incidents. It’s pretty apparent that this officer is a bully and a hothead. The fact that Westport would hire him knowing of this history exposes us to liability when he inevitably does something stupid while employed here. Chief Koskinos’ statement that “For the last 3 years of his 5 year career in New Haven, he has excelled in his profession and has not been the subject of any internal affairs or discipline investigations,” does little to reassure me. Yes, I believe in second chances, but what about 3 strikes and you’re out? The public needs to have absolute trust in both our police force and our elected officials, and sadly, this decision erodes that trust. From what I have read the “destroying evidence” was peeling a change of address stick from the back of a driver’s license. I’m not saying I agree with it but that’s what he did. I think one thing to keep in mind is that he was an officer when New Haven had more shootings and murders than any other in the state. More shootings doesn’t mean you act unethically and dishonestly. The more comments I read about this officer and his family, the more Is revealed that this process of hiring a new officer is not quite right. With all that is going on in our country right now, let’s get someone in with a clean record especially when it comes to behavior that caused three investigations as noted by someone in this string.. Is this a done deal or are Westport residents able to voice their opinion and be heard? Very upsetting. Outrageous. Careless. Like Trump’s re-tweet today. For those advocating complete trust in our police chief and his judgement, I would just say that blind faith is never a good idea. In general, I agree that both Chief Koskinos and Jim Marpe are trustworthy men of integrity, but that does not mean that their actions on behalf of our town and its citizens should be free from questioning. To date, I have not heard a satisfactory explanation of what elevated this applicant over others to the degree that the IA findings of wrongdoing in his record are being dismissed and diminished. these last 3 comments are exactly what I meant when I asked if there were not other people available for this position. Amy I agree with you. During the meetings on the recent Police pension agreement, we heard in RTM Committee (a public meeting), that our police jobs are extremely desirable and we receive many applications for each open position. This not good publicity for the town and I believe it is better to be cautious in these types of situations. I am highly concerned by this decision. Westport can do better. Why take the risk ? In particular I am concerned by growing list of RTM members that have publicly come out against this decision and raised concerns. There are several on this thread. Across all the public sites and emails I have counted 9 RTM members who have come out against this. Where do the other 27 members stands? I have read all the comments. Many are very articulate and well thought out. Not surprised there are many very successful and smart people in this town. Nothing against our Chief I respect him a great deal. I suspect this young man’s father put out a lot of political pressure to facilitate this hiring. But I have no proof other than this just makes no sense. In the corporate HR world there’s a saying, you can train anything except a lack of ethics. What I do know is that we deserve the very best people here to insure and preserve our safety. To ignore this mans spotted past with excuses and explanations is I’ll advised for a variety of good reasons that our very smart and articulate Westporters have delineated here. None of what Mr. Marpe or the Chief has said addresses or refutes these well made points. This is concerning to me on so many levels. Couldn’t agree more with you, Warren. This whole thing makes me absolutely sick. I have enormous respect for Chief Foti, but this hiring does not pass the smell test. If the Police Dept. insists on going forward with this hiring, I would like to see it mandated that Conklin wear a body camera at all times on the job. Unfortunately, that will not work because he will be a detective, not a patrol officer. So if he fabricates or destroys evidence yet again, we will never know. I believe Ms. Hamlin is or was an RTM member. As such I would assume that she is familiar with the WPD contract. Mr. Conklin would begin as an entry level patrol officer. After 3 years of service completed he would then be eligible to test for the position of Detective.. If you have already commented 3 times on this thread, please do not comment anymore. You have made your position known. I do not want this thread to become the same people responding to each other. Thank you. A very good friend has lived in downtown New Haven for many years and is well aware of this person’s reputation and the incidents in question. Her comment to me is that “something fishy” went on for this person to have been hired. She was shocked that he would have been considered for another job in law enforcement. Question authority. Hey Westport! I know it’s kind of late, but you should use the Connecticut Freedom of Information Act to find out about the Internal Affairs investigation that was ongoing at the New Haven Police Department when Daniel Conklin was hired by your Police Chief, Foti Koskinas. Not the investigations that were publicly disclosed, another one that was still open. Given the 11th hour vacillation about this hire, you might get a quicker answer by calling New Haven’s Police Chief, Anthony Campbell, at (203) 946-6333. Daniel Conklin’s open Internal Affairs investigation was apparently publicly disclosed in the New Haven Independent. 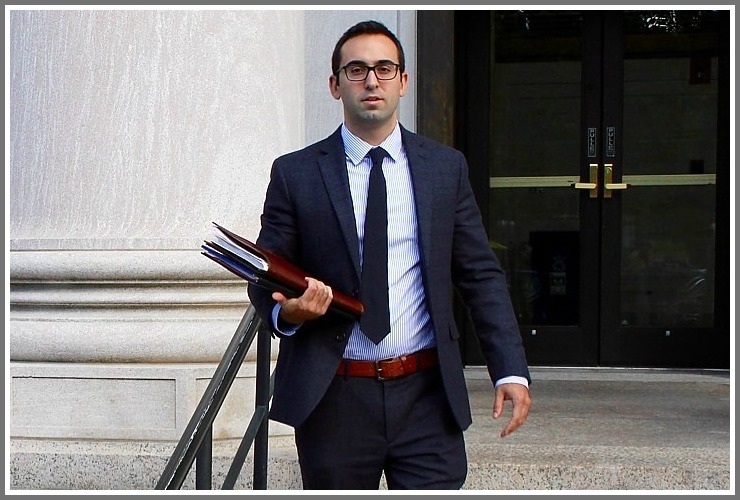 It relates to internal conduct policy violations – including falsifying a report and lying – by Conklin while in the employ of the New Haven Police Department. The status of that investigation is unknown. Was it even shared with the Westport police in their evaluation of Conklin for the job? It may be time for the mayor and chief of police to reverse their stand on the “rogue cop” hiring. Their reputations for outstanding government management can absorb the fallout. I hope the town coffers can.